Three human Souls had become perfect and one with God. The Soul best known as Abraham Lincoln became Divine following lifetimes which included Leonardo da Vinci and Wolfgang Amadeus Mozart. The second Divine Soul is known as Christ. The Soul that consecutively incarnated as Hippocrates, Marcus Antonius and Amerigo Vespucci became Divine as third. Not each of their incarnations was a prominent public figure. An exceptional Soul may be incarnated in the next underprivileged person you meet. Would the dear visitors to this website from Germany please get in touch if they have produced a German translation of the Cathar Testament. We have a partial translation which needs to be edited and finished. 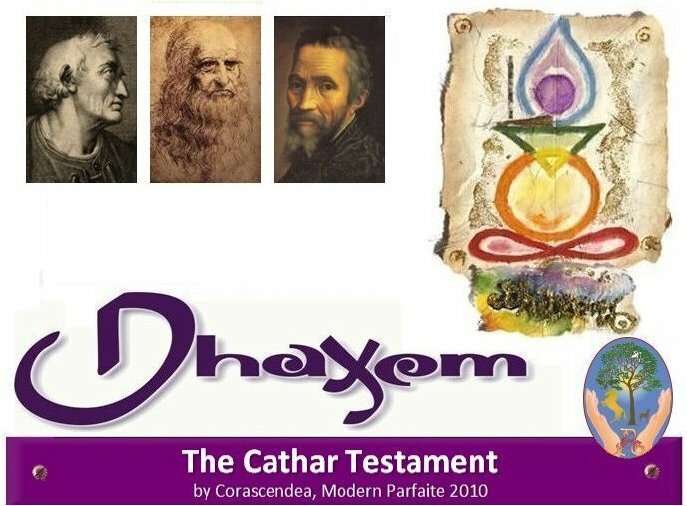 We are keen to publish the Cathar Testament in German. 19.3.2016 The Truth about the murder of Abraham Lincoln. All that happens is necessary for the growth of consciousness. All the players serve the Divine Plan as it rests in the hands of the Soul that also incarnated as Abraham Lincoln. The Church organised dinner and dance parties over a cloth soaked with the blood of a man robbed of his identity continue despite a warning given in 2013. Those responsible spat on the cloth and God took action. NEMESIS: He/she with the complete consciousness is the most powerful person on Earth.